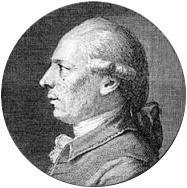 In a time when chess was still in it’s infancy of being understood, François-André Danican Philidor was the dominant player of his age. Despite playing in an era long ago, Philidor still has his stamp on chess. With an opening, checkmate pattern and endgame position featuring his name that are still used today, his legacy continues to live on. With his famous quote that “the pawns...are the very life of this game”, he was truly a genius at chess who was ahead of his time. François-André Danican Philidor was a French composer and chess player. At the age of 10 he was taught chess by fellow musicians and in 1741 he began to be instructed by the leading French chess player, Sire de Legal, who taught Philidor until he surpassed his teacher. In 1744 Philidor was one of the first players to play chess blindfolded simultaneously against multiple opponents. By 1750 Philidor was regarded as the strongest player in multiple European countries. Throughout the rest of his life, he split his time between composing music and continuing to dominate the chess world. Philidor passed away on August 31, 1795.